Today I came across an engaging word called metalinguistics. For experienced teachers or those who are in the field of studying languages it is not a tricky word but merely part of their vocabulary. What metalinguistics basically means is the ability to think about language and talk about it. Not so difficult after all! If you are teaching children, or wish to teach your own child then the development of metalinguistic awareness is really a crucial component in that the learner should be able to competently select and discuss the use of process and strategies appropriate to their needs. When a learner obtains metalinguistic awareness they become aware of their listeners and how these listeners affect the choice of language the learner uses. This means the learner uses vocabulary; varies intonation, tone, volume, pace etc. The learner also becomes aware of social situations and how these affect the language they use. For example the learner is aware of when to speak and when not to speak in a social situation. Or when to ask questions and when not to, and have the awareness of who talks first and who has the final say during a conversation, debate or perhaps an argument. 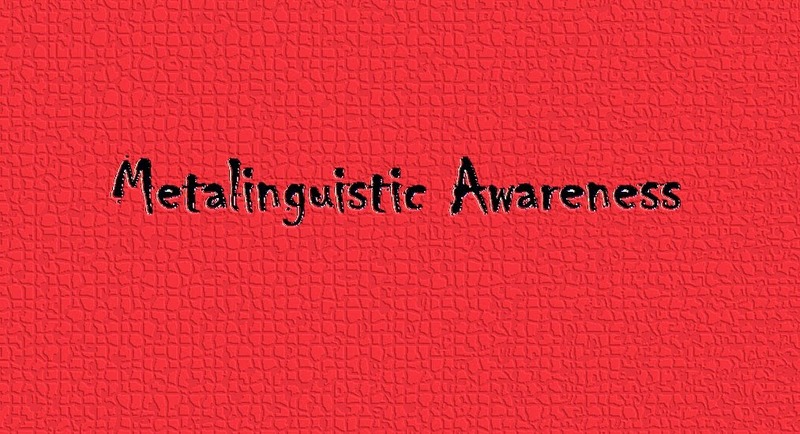 Finally, metalinguistic awareness also uses language behavior that is opportune to the situation. Some teaching strategies for metalinguistic awareness are for example self-talk, predicting, paraphrasing and summarizing.